Climate change impacts are being felt across Canada in significant ways. With observed increases in average temperature and precipitation over the last six decades, including especially rapid rates of warming in the North, climate change is already affecting Canada’s environment and economy, as well as the safety, physical, mental, cultural, and spiritual health and well-being of Canadians. As these impacts are projected to intensify in the coming decades, it is essential that Canadians act now to adapt and build their resilience to climate change. To help to overcome the challenges associated with climate change in Canada, actions to adapt and build climate resilience are being carried out across the country, by all levels of government, as well as by non-governmental organizations, Indigenous Peoples, the private sector, academia, professional organizations, and individual Canadians. These actions are crucial for building Canada’s capacity to thrive under new climate conditions. However, effectively managing climate risks requires coherence and high levels of coordination between actions that result from an understanding of Canada’s overall progress on adaptation and climate resilience, including to what extent collective action and investments are building adaptive capacity. A robust approach to evaluating progress is needed to increase understanding, as well as to support informed decision-making and continuous improvement, and ultimately, enhance climate resilience. The Expert Panel on Climate Change Adaptation and Resilience was asked to recommend a suite of indicators to measure progress on adaptation and climate resilience in Canada. The recommended indicators were to align with the five key areas of action identified under the adaptation and climate resilience pillar of the Pan-Canadian Framework on Clean Growth and Climate Change, Canada’s national plan to address climate change, build resilience, and grow the economy. It is under this framework that the Expert Panel, following an ambitious, eight-month process of discussion and deliberation, proposes a suite of 54 indicators across the this report*. *Access the full report here or download from the right-hand column. An overview of key insights from the report is provided below; see the full text for much moe detail. The indicators recommended within these chapters are diverse and are intended to identify and measure key elements that would reflect progress on adaptation and climate resilience in Canada. While the full suite is appropriately broad, consistent with the scale, scope, and complexity of the climate change challenge, the Expert Panel has identified a sub-set of 19 indicators from within the larger set that could serve as a starting point for future discussion and work on measuring progress on adaptation and climate resilience, including consideration of a measurement program for adaptation and climate resilience in Canada. In addition to advising on proposed indicators, the Expert Panel also considered how to implement a sustainable approach to monitoring progress on implementation. Chapter 7 of the report details an approach to mobilizing the Expert Panel’s proposed indicator suite through a sustainable, robust, broadly applicable monitoring and evaluation (M&E) framework. Building on the abovementioned chapters, the Expert Panel has also included a Call to Action. This highlights the vital importance and urgent need for action to build climate resilience in Canada complementary to and aligned with actions to mitigate climate change. Expert Panel Objectives and Sub-Set of Indicators (for full list of recommended indicators, see Chapters 2-6 or Appendix II of the report). Indicators represented in the final list for this report comprise a small fraction of the total suite of indicators developed by the Expert Panel. The list has been reduced significantly to advance a manageable suite to support implementation. The Expert Panel struggled to maintain the balance between a manageable number of indicators and what is required to adequately assess adaptation and resilience in Canada. As a result, the report recommend that implementation of an M&E program recognize the importance of expanding and tailoring the indicator suite to fill gaps over time. 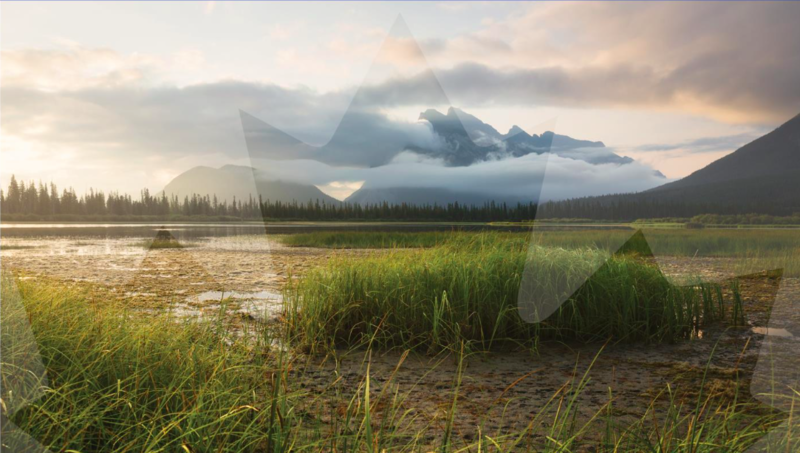 The adaptation indicators were developed to align with the areas of action in the adaptation and climate resilience pillar of the Pan-Canadian Framework on Clean Growth and Climate Change. As such, these areas of action provide the primary framework for reporting results. However, the Expert Panel recognizes that other themes for monitoring and evaluation may be more appropriate and enable more discrete (Indigenous Peoples, regions, sectors, governments) implementation of the M&E program. Application of a measurement program using other themes may help identify coordination and efficiency in measurement and areas for addition of subsequent indicators. The diversity of representation and rich experience of Expert Panel members brought broad perspectives and fulsome dialogue to the process of developing indicators for measuring adaptation and climate resilience in Canada. However, the Expert Panel stresses the importance of ongoing engagement with Canadians, particularly Indigenous Peoples, the private sector, and civil society, in all aspects of future adaptation monitoring and evaluation, including indicator refinement, data and knowledge gathering, program development and adjustments to adaptation actions. Although the recommended indicators and M&E program are designed to capture and report on adaptation progress at a national level, the Expert Panel encourages uptake of the proposed program for application at other scales – sub-national, local, and institutional. Disparate conditions in rural, remote, northern and coastal communities often pose significant barriers to planning for, and management of, the impacts of changing climate. Indigenous Peoples, notably in northern Canada where climate change is most significant, have led in adaptation, often with significantly fewer resources. While the focus for this report is on monitoring and evaluating progress on climate change adaptation, the Expert Panel stresses the importance of Canada’s role in mitigating greenhouse gas (GHG) emissions and advocates for resilience measures that reflect the transition to a low carbon society. Adapting to climate change is a cyclic and continuous planning process, where each step enables subsequent action along a path to implementation and measurement. Equally, monitoring and evaluation of progress in each step implies some order for application of indicators. Indicators for monitoring and evaluation of adaptation should recognize the need for measurement for distinct stages of the adaptation process and report on results in all aspects of adaptation planning. Expert Panel on Climate Change Adaptation and Resilience, 2018. Measuring progress on adaptation and climate resilience: recommendations to the government of Canada.